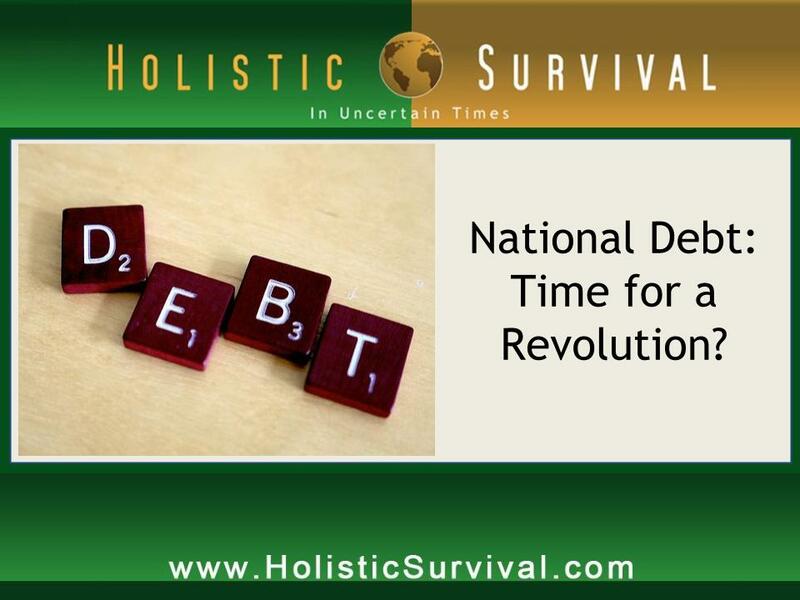 U.S. National Debt – How High Can We Go? Join Jason Hartman and Craig R. Smith, Chairman of Swiss America Trading Corporation, for a discussion of the U.S.’s monetary policy, distorted pricing, creating money out of thin air, the outrageous national debt, inflation, and more. Craig says he is thoroughly convinced that governments around the world will print their way out of debt and it will destroy the middle class. He is very concerned about the current state of things unless politicians take a different stand. Please visit: www.HolisticSurvival.com. Craig also talks about how the gold and silver industry is unregulated and encourages investors to be fully aware of the risks and costs associated with buying coins. Big runups in gold have brought the crooks out, and Craig highly recommends investors do their homework before investing with a company, including being in business for more than ten years, a solid delivery policy, etc. Jason and Craig also discuss gold and silver manipulation by Central Banks, in which banks can go in to the markets and buy or sell large possessions of gold. Gold and silver are a threat to the fiat money system, so the banks are antagonistic of the markets. Lastly, Craig touches on the subject of hyperinflation, relating how past tools to fight inflation no longer work because it would cripple the economy. 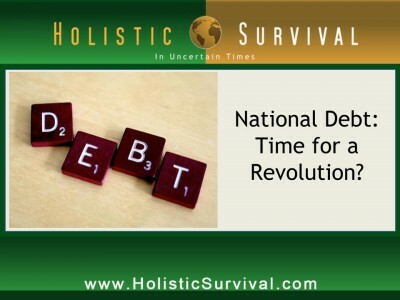 Sadly, Craig feels the only way out of our unbelievable national debt is a total collapse or a systematic collapse by inflating currency slowly over a long period of time. The Swiss America Trading Corporation is an investment firm specializing in U.S. gold and silver coins. Mr. Smith founded the company in 1982 out of a bedroom in his home with $50.00. It has since grown into one of the largest and most respected firms in the industry known for its dedication to consumer education and safety. Craig is an expert in many forms of tangible assets including oil, precious metals and United States numismatic coins. He’s a student of history and author of four books, The Inflation Deception: Six Ways Government Tricks Us… And Seven Ways to Stop It! (7/11), Crashing the Dollar: How to Survive a Global Currency Collapse (10/10), Black Gold Stranglehold (11/05) and Rediscovering Gold in the 21st Century (8/01). Mr. Smith is sought after by national media for his insights on breaking news because he instantly engages audiences with his common-sense analysis of major political and economic trends. He is a former columnist for Worldnetdaily.com, and writes economic columns for Swissamerica.com Mr. Smith does not go to Washington D.C. often, but when he does he always comes back with a fresh perspective on why self-government is key to solving our modern crises – not more government spending. Craig understands that fellow Americans want solid answers to the tough questions, having hosted two national talk radio shows during the 1990s: “America Talks” and “World Economic Perspective.” Mr. Smith’s free market economic worldview offers Americans a breath of fresh air amid today’s failed ‘big government’ approach. He believes we need a revival of self-government and free market principles to help rebuild the American economy; unlike the current administration’s belief in multi-trillion dollar “cradle-to-grave” government dependence. Jason Hartman: My pleasure to welcome Craig Smith to the show. He is the chairman of Swiss America Trading Corporation, and we are going to talk about precious metals; we’re going to talk about inflation, monetary policy and some other very interesting issues today. Craig welcome, how are you? Craig Smith: Jason, I’m great. It’s wonderful to be with you. Jason Hartman: Likewise. And I know we have both been fighting colds, so listeners please forgive us. Our voices are not as good as they might be, but I think we’ll muddle through this interview and cover some interesting stuff even if we don’t sound as good as we might normally. There’s of course a lot going on in the world today. The European central bank yesterday took some more actions that furthered the belief in most people’s mind that we are going to see pretty dramatic inflation in our future. Both in the US and around the world. Give us your take on what’s going on nowadays. Craig Smith: I think that that concern and that anticipation is exactly correct Jason. I think that the world has now come to the collective agreement that the best way to get out of these problems that we’re experiencing with excessive sovereign debt, is to create money. And I say create versus printing because we really don’t print money any more, we just create blips on a computer screen. Jason Hartman: Yeah I’ve always wondered. They keep talking about the government’s careless money printing. What does it look like nowadays, for example if you’re at the federal reserve or the US treasury, does someone go over to a big computer in the corner and click the mouse and suddenly more money is created? Because with the electronic world, you don’t even have to print anymore. It’s ridiculous. Craig Smith: Yeah there’s no cost creating money anymore. Of course there has to be an underlying bill or a bond or a note. But essentially that’s what happens Jason. They put a bond in place and they go ahead and create money against it by adding credits and debits to their computer screens. And that’s one of our big concerns, that most people believe that an inelastic money system, say like a commodity based money system, a gold and silver backed system cannot accommodate the needs because there’s too much demand for money. And that’s a fallacy. An elastic money system like we have today; when you can create money out of thin air with no underlying value behind it. Especially maybe saying it’s a negative value because you take bad assets, bad collateral in against it, we’re setting yourself up for failure. And that’s the problem right now. John Maynard Keynes, Lord Keynes, would have never agrees to Keynesian economics starting from the debt levels that we in America are at, and the rest of the world for that matter. You have to keep in mind that when Keynesian economics were adopted, in the beginning of the early 1900s, we weren’t facing 15 trillion dollars’ worth of debt, ten trillion dollars’ worth of European debt; the numbers are too massive now. So money injections into an elastic money system can actually have detrimental effects because it distorts pricing. It creates bubbles. And over time you have to bring those distortions back into line, you have to let the bubbles pop, and generally that’s a very painful process, which quite frankly most politicians avoid at any cost. Jason Hartman: Of course Ron Paul is the only one out there talking about honest money, but creating money out of thin air and if you will, the old fashioned metaphor, printing our way out of a problem, it’s a great business plan really for governments. It actually works for them fairly well. The problem is there’s so much collateral damage because all the people that have done the right thing, really Craig, who have saved money, who have paid down debt, they really get hurt the most. And I hate to say it, but it’s mostly seniors who are hurt the most in an inflationary environment because their purchasing power is just destroyed while politicians can just keep spending money, buying votes, and the irresponsible program of inflation, of inflating their way out of the problem, is actually a pretty good business plan for them isn’t it? Craig Smith: You’re absolutely right. Inflation is the most expedient tool that a politician has, but as you just pointed out, inflation always punishes creditors and benefits debtors. So think about it. If you’re a politician who is dealing with a 15 trillion dollar debt, it’s politically expedient and to your benefit to inflate. Unfortunately that creditor who lent the money is going to be paid back with money that does not have the same buying power as when it was lent out. And that’s the trouble. We have a lot of Americans that did the right thing in 2008,2009. They deleveraged. They reduced the amount of debt that they were carrying, they increased their savings, and unfortunately they’re going to be the ones punished when the government prints their way out of this mess. Think about it Jason. If we are holders of dollars, we should want deflation. We should want our money to buy us more of goods and services tomorrow than what we have today. But the government wants just the opposite and that’s why there’s always going to be a conflict, an inherent conflict. Between the consumer, the citizen and the government. People have to keep in mind that money is what you use for goods and services today. Capital is what you put away for goods and services in the future. Well if you’re putting your money away in the form of a capital just dollar bills earning 2% on tenure note, you’re in pretty rough shape with inflation running 3%. So you’re forced into equity markets looking for a higher return offset that increased cost of living through devalue dollars. So it’s a failed policy, yet you’re right. It’s politically expedient. It has been used time and memorial by many countries around the world. And that’s why when we wrote The Inflation Deception back last year, we came to the conclusion in the book that we are thoroughly convinced that governments around the world will print their way out of this and it will take from the middle class. Keep in mind, huge creation of money will never punish the super wealthy, and quite frankly the poor have nothing to lose. They generally historically will wipe out the middle class. And I believe that’s one of the great strengths we have as a nation, is a sound middle class. And that’s why I’m very concerned about the future of the nation unless these politicians take a very different direction. Jason Hartman: I couldn’t agree more. Middle class equals stability. In countries that are the banana republic style countries where you have the rich and the poor, and very little or no middle class, you have instability because you always have the two warring against each other in a sense. And that is a bad sign. And one of the great things about America has always been, in my opinion, its large middle class. So couldn’t agree with you more there. However, I had Doug Casey on the show recently and I just have to kind of mention that, because he said it in such an interesting way. He said just going on and on about just how ridiculous these policies are and how inane and stupid they are. He says something to the effect of, “but you can profit from this stupidity!” And it’s true. You can get into debt, you can use that debt to buy commodities and control commodities, and one of the things I like so much is just income property rental real estate because you can get three decade long fixed rate debt at these ridiculously low rates. And they’re all commodities. The land is basically free if you’re buying in an area like we live, Phoenix. You’re buying low price properties. You buy below the cost of construction. And that debt is diminished in value through inflation. They commodities keep pace or hopefully outpace inflation by a small margin. It’s a pretty good equation. You can buy precious metals and stick them in a safe deposit box and idiotic inflation that comes along; those things are a great hedge against it. Tell us more. What are your thoughts? Craig Smith: Well keep in mind, what you’re suggesting there is a prudent use of credit. And I would agree with you. When credit and debt can be a very powerful financial weapon and creator of wealth when it’s used properly. You’re talking about buying a piece of real estate which is real property at a very discounted rate on interest to be able to cash forward out. That’s a very responsible use of credit. Unfortunately our government is using credit in an irresponsible way. It’d kind of be like taking that same equation that you’re talking about Jason and instead of going out and buying a house with that credit, you go out and eat fancy meals every night. Well at the end of the year you have nothing to show for it. That’s what’s happening with the government. Instead of the government going out and using this credit to buy very solid businesses or very solid programs that will ultimately produce money in the future, we’re spending it on current needs. We’re spending it on current entitlements, programs that have no chance of working, more Solyndras if you will. And as a direct result of that, think about it, when you give an open check book to people, they’re going to spend the money. And current capitalism under the Obama administration, and it started under the Bush administration quite frankly, has been out of control and it benefits a lot of people. Unfortunately the American tax payers are on the hook. And now that we’ve basically removed moral hazard from the situation, think about it, you can be a big bank, you can go out and borrow money at one percent, you can take all kinds of risks, if you win those profits are all put into your bank, if you lose, the tax payer bails you out. It’s not fair and it can’t last forever Jason. And that’s why I don’t believe the end of the world is here. I’m not suggesting people by dehydrated banana chips, machine guns and Krugerrands and wait for the end of the world to happen. But people do need to take steps like you just suggested, and buying real estate, prudent investments, using debt properly to be able to offset. It’s amazing having this discussion. Can you imagine Jason that you and I are having to talk about creating wealth, where we have to strategize against our government instead of being able to sit down and say, why aren’t we all working together? And mister Obama is making this worse by suggesting that putting the rich against the poor with class warfare. Bottom line is we can’t continue on this track. I think everybody knows that Jason, and that’s why I think we’re in for some big changes in 2012. Jason Hartman: Yeah, we are. I would agree with you more. So let’s talk a little bit, let’s switch gears for just a moment if we could. Recently, and I asked you about this before we were recording, there were some issues in the gold market with some of your competitors, frankly, and I know that you don’t want to endite them because people are innocent until proven guilty, but consumers were complaining about Numismatic coins versus Boleyn. Tell us about that if you would. It’s just sort of an interesting industry thing people might like to know. Craig Smith: Well the recent argument is that people called up wanting to buy gold. Now there’s various forms of gold. You have gold stocks, you have ETFs, you have gold Boleyn, you have Numismatic coins, there’s many form of gold that you can buy. And so they called in buying gold. Well the average person would offer these various areas, and in a lot of cases people thought they were buying Boleyn where they bought either semi-numismatic or Boleyn related coins that had premiums, and they didn’t go up as much as the Boleyns so they screamed foul. And I was thinking about it as we were talking about some other issues Jason. I remember this back in 79 and 80. I’ve been in this business quite a long time. In 79 and 80, the numismatic coins went up faster than the Boleyn went up and I remember customers complaining, why didn’t you sell me the numismatic? I bought Boleyn. So look, I would be remiss if I didn’t tell you our industry because it’s unregulated can have a lot of misrepresentation, there’s no doubt about that. However I don’t have the facts about the big people that have come under enditement, like the big company on the west coast. And again I preface that by they’re a big company, they do solid disclosures, and they are innocent and until proven guilty. I can’t wait to see the facts on that case. But nevertheless, I have clients that are up 200%, but if they’d been in this other product, they’d be up 280% and they’re mad. So I’m sure that there’s some hanky panky but I’m sure that there’s just unrealistic expectations on behalf of the investors. And that’s why when you’re talking with a gold company, or a financial planner for that matter, you should make sure that you are being exposed to all the risks and the rewards that come with buying gold or real estate or bonds or what have you. And I think that’s where the key is Jason. We at Swiss America have a full risk disclosure. We explain to you that buying gold, whether it’s in numismatic coins or Boleyn or Boleyn type coins, that there are risks that are associated with that. And we’ve seen that recently. Gold was at $1900 and today it’s at $1600. It’s come down dramatically. So there is no free lunch out there and you get what you pay for. But you’re right. It’s out there and I would highly recommend that when you talk to your broker that you’re trading with, that you make sure that he is disclosing all the risks and costs that are associated and showing you past performance. As you know, this history will never tell us what’s going to happen in the future, but a lot of times it does have a tendency of repeating itself so it is a pretty good barometer going forward. Jason Hartman: Yup. Very good point. Well everybody always needs to be their own best advisor. And I always say that. Do your homework, pay attention and don’t leave it to somebody else. It’s your responsibility when investing to know what you’re doing. Craig Smith: Sure and let me add a little side note to that. Recently with the big run ups in gold, it has brought a lot of the crooks out of the woodwork. It seems to be in in this business 35 years ago, there was a half dozen of us. Today there’s hundreds of gold dealers all over the country. They open up every day. There’s a new company that just opened up in Scottsdale the other day. Brand new company that has no track record, couple of young fellows. I wish them the best, but I can tell them after 33 years in this industry, there’s going to be some ups and downs. And quite frankly, a lot of companies don’t survive. So you’re right. Do your homework, and make sure that you’re not getting involved with one of the charlatans. I always tell people look for a company that’s been in business a minimum of ten years. Number two, look for a company that will buy back the product that they sold to you and they will assure you that in writing. Number three, make sure that they have an exchange policy. And number four make sure they have immediate delivery, and what I mean by that is if you pay for a product, you should get delivery within 7 business days. We do it within 72 hours. But if it goes one day past seven business days, you probably have somebody that’s using your money and you should immediately get in touch with them. If they don’t respond, call the attorney general’s office or your attorney’s right away. Jason Hartman: In other words they’re making money on the float, right? In between the delivery and the purchase. Craig Smith: Right. And that’s your money. That’s not their money to play with. We have a segregated account. We call it a client purchase account. Your money goes into that account, we deliver the product, we take the signed paperwork of delivery to our accounting department and then they release the money into our general account. Never allow a financial planner or a gold broker to ever use their money, your money, to run their business. Jason Hartman: let’s talk a little bit about gold price manipulation. And not just gold but silver of course. I think it was about a year ago that there was a huge swing in the silver market, where we went from like 50 dollars per ounce down to about 36 dollars. And in a matter of just a few days. And one of the things that investors need to conscious of is manipulation. Gold is generally speaking, a great measuring stick for inflation, or I should say at the same time, devaluation of fiat currencies like the dollar. But there’s an organization called GATA out there that is really trying to bring attention to the manipulation problem. Which also may be a manipulation opportunity because maybe if investors can understand it well, they can benefit from it. So tell us about manipulation that goes on in the metals world. Craig Smith: Well I’m not an expert in the manipulation area, but it’s been long known for years that banks can go in through the commodities markets and either take large positions of gold or sell large positions of gold. Which can have dramatic impact on the pricing of both commodities. And of course you don’t have to go any further back in the Hunt brothers to see that because the markets are so thinly capitalized and it is a finite supply market, it can be subject to manipulation. But that kind of brings up a whole other topic. Why is there such an antagonism from the central banks towards gold? The central banks hate gold. Jason Hartman: Gold and precious silver are the competitors to fiat money, aren’t they? This is what could put them out of business. It’s their competitor. Craig Smith: Indeed they are. And Allen Greenspan, our former fed chairman, wrote a white paper in 67 called Gold and Economic Freedom, where he outlined in his treaties why there is such an antagonism against gold. Because gold basically puts handcuffs on central bankers and won’t allow them to create money out of thin air. Jason Hartman: Which is how it should be. They should be restrained. Craig Smith: For sure. And that’s why in 1971, Nixon took us off the gold standard, and it basically took the handcuffs off the banks and allowed them to create money out of thin air with subsequently nothing in deposit. And that’s why if you look from the early 1800s all the way to 1970, we really had moderate inflation in America and sometimes we actually had deflation. Of course you had inflation after the civil war. There were little pockets, but for the most part we were steady for almost 200 years. And then in 1971, when Nixon closed the gold window, if you look from 71 to 2011, we’ve had a complete collapse as it relates to the buying power of the US dollar. Now if you look at the welfare state that we created, starting in 1933 under mister Roosevelt and really went on steroids in 1964 under Lyndon Johnson, with the war on poverty, we have created a welfare state. The only way you can support a welfare state is if you’re not on a gold standard. And Allen Greenspan, he said the only thing that stands in the way between your economic freedom and the banks basically manipulating your net worth, is with gold. It’s a protector of economic freedom. So I suspect you’re going to continue to see that and the bankers hate the fact that gold is at $1600 because they have seen gold go from $300 to $1600 in a matter of 11 years, and that’s because the more money that they create out of thin air, the higher the price of gold is going to go, the higher the price of oil is going to ultimately go. People forget. In 1998 we were paying $6 for a barrel of oil. Yes we had spikes. Well, excuse me, not $6, $9 for a barrel of oil. It came all the way back from $36 during the gulf crisis’s and all the way back down to $9. And then if you look at its parabolic move with gold from 1998 forward, now we’re at $100 a barrel. That’s not because oil is better, it’s not because oil is scarcer. It’s because we’ve created massive dollars that now have to find homes and it’d take hours to explain how money creation actually caused price inflation. See most people think that inflation is merely the price of gas going up or the price of a pound of ground meat at the grocery store. Inflation is a monetary phenomenon. When you print money that is inflation. But you won’t see price inflation until that printed money gains what’s called velocity. It goes through the system. It starts chasing the same amount of goods and services and that’s when you have price inflation. That’s why we started talking about today about the inflation that’s coming back. One thing your listeners can absolutely assure themselves of, we are going to have higher rates of inflation, and some would argue we may even be hitting hyperinflation. And keep in mind; we’ve always had inflation since 1971. Some years it’s around 2%, in 1979, 1980 it ran 16%. I suspect we’re going to get back to the 16% levels and it’s not going to be pretty for the average American. Especially those living on a fixed income. Jason Hartman: I think 16% is an understatement, don’t you? With the kind of debt we have now and just the whole situation, I can’t imagine we wouldn’t have just a radical inflation. Craig Smith: Well if we go through a collapse of the currency. And most people forget a currency collapse doesn’t mean people dying in the streets, it just means it takes you more money to live. The text book definition of inflation is 50% increase in prices on a general basis in a 30 day time period. Jason Hartman: You mean hyperinflation? Craig Smith: I’m sorry. I mean hyperinflation. And I suspect that we could see hyperinflationary bouts. Now the question is will the Federal Reserve and mister Geithner, and mister Obama do the necessary things to stop it. We’ve had this happen before. When inflation hit 16% and mister Reagan took office in January of 81, Paul Volcker raised interest rates to 22%, they dropped regulations, they reduced taxes and they brought the inflation animal under control. Can you imagine with carrying 15 trillion dollars’ worth of debt, what our government balance sheet would look like if inflation rates were 20% or above? It would cripple us. So the feds really got us back against the wall. That’s why the tools that they would normally fight inflation with, they can no longer fight them with it because it would cripple the economy. So that’s why getting back to where we both started, the only way out of this is either a complete collapse, which the politicians aren’t going to allow to happen, or a systematic collapse, which will be done through inflating the currency over a long period of time and if you think gasoline is expensive at $3.50 a gallon today, just wait ten years from now, it’s probably going to be $35 a gallon. Narrator: Are you interested in a property outside of our network? Do you need a second opinion? No problem. Let Jason’s experts evaluate the deal. For more information, go to JasonHartman.com now. Jason Hartman: Well, several comments on what you were just saying. First of all Greenspan. Greenspan, he gave a eulogy at Ayn Rand’s funeral. I mean Greenspan seemed like a guy years ago who used to make complete sense. And later, I guess he liked the recognition of being called the maestro, he seems like he became a Keynesian sellout. What would you say about that? Craig Smith: I would say that he’s living proof that Lord Acton knew what he was talking about when he said that power corrupts. Absolute power corrupts, absolutely. And look, we saw this with George W. Bush. I think George W. Bush, when he started his presidency was a pretty decent president. Next thing you know, he basically threw away free market economics, he went with the Keynesian thing. He started running massive deficits. He created more deficits up until the time mister Obama came aboard then any president before him. And he basically threw free market economics under the bus with tart. So I don’t really know what happens to men when they get to Washington DC or when they get to that level, but I do know one thing. It’s always the citizens that work hard, that play by the rules that save and are prudent with their finances that get punished. And that’s why it’s sad that we have to have these discussions, but it’s now time for people to take defensive postures against their government when it comes to money. Jason Hartman: No question about it. Gosh I forgot what I was going to mention about the other stuff, but certain Greenspan being a sellout, I think is accurate. And the people that do the right thing, at least the right thing before 1971, they seem to be punished the most. And it’s so unfair, but what everybody listening needs to do, is just understand that they’re not going to change. This is the way it is. How do they act in this basically corrupt environment? Craig Smith: That’s such a difficult question to answer. But know this is going to kind of sound self-serving, but actually being involved with programs like this is a great start. Getting yourself informed, being educated, being a part of the conversation, that’s why I wrote the book The Inflation Deception, and for your listeners Jason, if they want a copy of it I’d be more than happy to give them a complimentary copy. They can call 800-630-1494. That’s the publisher’s phone number, My Idea Factory. Or they can go to inflationdeception.com and they can get it online as well. Then they’re going to have to start voting on honest politicians. They’re going to have to start voting in politicians that will pass a balanced budget amendment. They’re going to have to vote in politicians that will come up with a more egalitarian tax system that’s fair on everybody. I think we should very seriously consider restoring some form of gold standard and if we don’t do that, at least allowing the states to use silver and gold as legal tender. Most people have total distorted perceptions on how a commodity based money system works. Most people argue there’s too giant of a demand for money to ever make a commodity system work. It’s not true. If you look at the Chinese, many of their dynasties fell apart because they weren’t on a commodity system. The only dynasty that lasted was the Ming dynasty because they were on gold and silver. And I can show you this time in memorial. Every economy that was on a commodities based system worked fine until they started manipulating it, and next thing you know when they started printing money and came off the standard, they fell as commodities. Jason Hartman: Well the reason the politicians don’t want to do this is because it forces everybody to take the hard medicine of having actual discipline like they should. They can’t buy votes by giving out handouts to various groups of people, and they would have to actually be elected on sound, legitimate principles rather than pandering. It is nothing, it’s just disgusting what goes on nowadays. Craig Smith: Jason you are spot on. What you just said is so accurate, I couldn’t add or subtract to it. And it is. It is disgusting and we should be embarrassed as Americans that we are going to pass on for the first time ever in our nation, to the next generation a country that is in worst shape than when we received it. Jason Hartman: Well you’re right about that. One last thing I’d like to ask you about Craig, and I know we’ve got to wrap up here. I’m a believer as I’m sure you are, in physical gold and silver, not in an ETF or a fund or a stock certificate or anything like that. But physical gold and silver. And there has been some talk, and I am a believer in this, it would be a giant, giant disaster if it is a Ponzi scheme. And if it were exposed and if this is true, but the Comex. Do you think they really have the gold and silver to back up all of the trading, or is that the largest Ponzi scheme is world history? Making Bernie Madoff look like nothing. Craig Smith: Well you’re asking me to speculate there, Jason. Jason Hartman: And I’m speculating too. But I’m suspicious. Craig Smith: I can tell you that it is rather suspicious. If you look at how much gold has been mined in the history of man, and then you look at how many outstanding paper contracts there are, one could argue that clearly there’s a Ponzi scheme going on there. I’m very concerned about the ETFs like GLD and SLV. There’s a lot of argument out there right now that there positions that are supposed to be physical positions are covered with contracts. And then when they call for delivery on the contracts, they can get delivery. But you said it in the beginning of your statement. If you’re going to own gold and silver, take physical delivery, generally in the form of gold Boleyn coins or low grade numismatic gold coins along with bars of silver Boleyn; one, ten, hundred ounce bars. Take physical delivery when you pay for them, make sure you get delivery within a few days of the time you pay for them, stock them away in a safe place. It’s like if I lend you my car. It’s still your car but if I have possession of it I can wreck it, take care of it, whatever. If you have it in your possession, the one thing I love about gold, that it’s your asset that simultaneously is not somebody else’s liability when you hold it in your hands. And to me that’s a very important asset to have. Jason Hartman: That’s a very good point. Well hey, give out your website if you would Craig, and tell people where they can learn more. Craig Smith: Well the website for the company is swissamerica.com, or if they’d like a copy of Inflation Deception, you can go to inflationdeception.com or you can call the publisher at 800-630-1494 and mention that you were listening to Jason Hartman. And they actually will pay the postage and everything. There’s no hidden cost. All we ask is that once you’ve read the book, that you’ll pass it on to somebody else so that we can inform the public that there is a way out of this mess. As you said earlier, if the politicians would really do the right things, go through some pain, do the things that are going to be quite frankly politically difficult to do, we could right this ship. It’s not too late. But soon we will be on the point of no return so that’s why I’m grateful for programs like yours that will educate the public and maybe an educated public will vote the right rascals into the white house or the congress. Jason Hartman: Yeah and get the bad rascals out. Well thanks Swiss America; thanks so much for joining us today. Craig Smith: Jason, wonderful being with you. Can Permaculture Save the World?